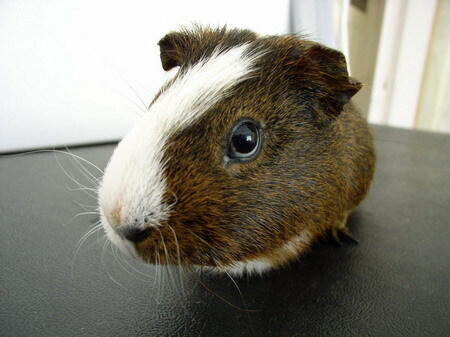 Here is a guide to poisonous foods and foods you should not give to your guinea pigs. As I have already mentioned in one of the pages, guinea pigs will eat just about anything they run into. So it is up to you to remove all potential dangers from their environment. It is even a bigger problem with pups. They are worse than grown up guinea pigs when it comes to tasting new stuff. They will chew everything. Dangerous food can easily kill your guinea pig. Some of the symptoms you will notice is muscle tremor. In case you notice anything unusual contact your vet as soon as possible. When you give your guinea pigs i.e. apples and peppers make sure you remove the seeds! Most house plants go into the P - poisonous food category so if you have them around the house either supervise your pets while running around the house or move the plants so they can't reach them. Always seek veterinary advice if you even just think your guinea pig ate poisonous or dangerous food. Don't wait to see IF something happens but act as fast as possible. Any minute you save is a minute that could save your pet's life.